I don’t miss the Lodge Garden of the 1870s – because there is no reason to think its quality was exceptional. Nor do I miss the Lodge Garden of the 1930s, partly for the same reason and partly because the National Trust has made so many ‘improved Arts and Crafts’ gardens. Photographers are able to find angles which make the Lodge Garden look National Trusty, which is the right thing to do near the house. But by taking a close look one can see that the RSBP has begun work on something more innovatory and more important. It is using its technical expertise to make a wildlife garden. There is every reason for the RSPB to know more about this and to do it an way that can be an inspiration to both amateur and professional gardeners. My suggestion is for the RSPB to make a garden that is beautiful, as well being habitat-rich. My video was taken in 2009 and I am sorry to criticise such a worthwhile effort. The Lodge Garden looks as though a group of conservation volunteers from a sixth-form college had been invited to have a bash at making a wildlife garden. There should now be a concentration on design quality. London has 13.2% of the UK’s population and the area of private gardens in London 37,900 hectares. Gardens tend to be larger outside London so land devoted to gardens in the UK could be 300,000 ha. Comparing this with the area of the National Nature Reserves in the UK (94,400 hectares) it is obvious that the RSPB could do a lot for the UK’s bird population by creating a first class example of an Ornithological Garden for the Lodge. 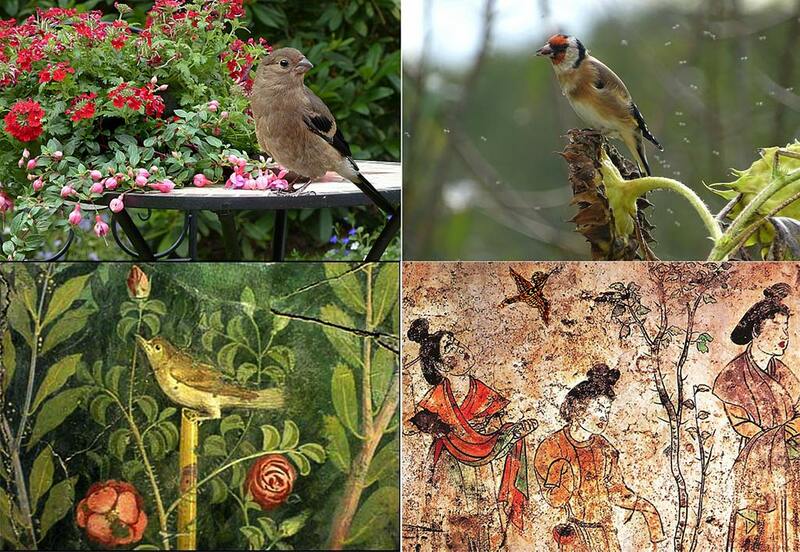 Birds were highly valued in ancient Chinese and Roman gardens. This entry was posted in English Gardens, Garden Design, Garden Visiting, Great Gardens to Visit on 7th November 2017 by Tom Turner. Which is the best Royal Park for garden-loving visitors? The more I think about London’s Royal Parks, the better I like them. So I can’t give a favourite. But if a gardening friend was coming to London and said ‘I’ve only got time for one Royal Park – which should it be?’ I would say ‘Regent’s Park’. If an architect or urban designer asked me the same question I would give the same answer. The two most astonishing things about Regent’s Park, for me, are that no urban expansion scheme of the twentieth century equaled its quality – and that Modernist architects wanted to knock down the Nash terraces in the 1950s. The above video shows some of the things I love about Regent’s Park. This entry was posted in English Gardens, Great Gardens to Visit, Public parks on 6th November 2017 by Tom Turner. Wrest Park is not as well-visited as it deserves. The garden was restored in 2011 and, faced with the question ‘when should it be restored to?’, English Heritage took the sensible decision to restore separate parts of the garden to different dates: the Baroque section to the Late Baroque period, the perimeter canal section to the Serpentine Style of the mid-eighteenth century, the Victorian section to the Mixed Style of the mid-nineteenth century. Visitors may well find it necessary to consult the Gardenvisit.com style chart to understand the design. I agree with Tim Richardson that Wrest Park may appear in a future stylistic classification as a prime example of a ‘National Trust restoration’. This entry was posted in English Gardens, Great Gardens to Visit, Historic garden restoration on 5th November 2017 by Tom Turner. Stockwood Park in Bedfordshire has an interesting collection of period gardens in various styles. 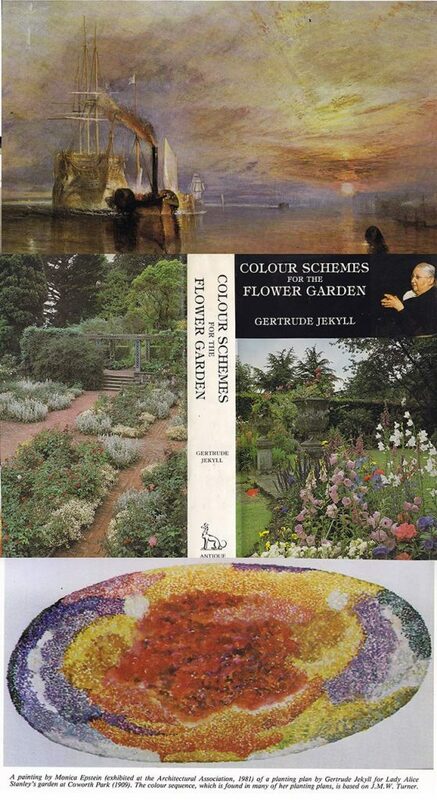 I like them but would like them even more if the the designers had been more careful in making use of known information about historic styles of garden design in the UK. This entry was posted in English Gardens, Garden Visiting, Great Gardens to Visit on 4th November 2017 by Tom Turner. The oriental pavilion at Woburn Abbey, as it was built in 2011 and as shown in Repton’s Red Book. The grotto was built in the early nineteenth century. Though often described as a ‘rockery’, I think grotto is a more appropriate term. Rock gardens were late nineteenth century garden features. Congratulations to Woburn Abbey Garden for its on-going programme for the ‘restoration’ of the garden designed by Humphry Repton 1802-5. 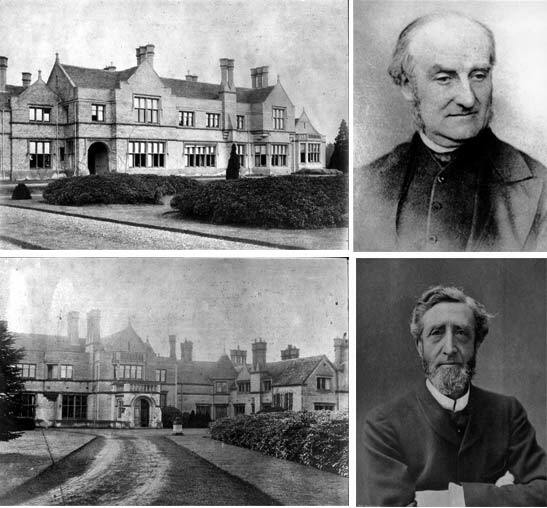 Repton is by far the most important landscape and garden theorist of the nineteenth century and it is a pity that more of his work can’t be seen. This entry was posted in English Gardens, Great Gardens to Visit on 3rd November 2017 by Tom Turner. Kathy Brown writes on cooking and has made a garden which is as much appreciated for its beauty as for its cakes. Kathy is the author of a book on The Edible Flower Garden. I wish more people used their gardens to grow food, as well as for delight. 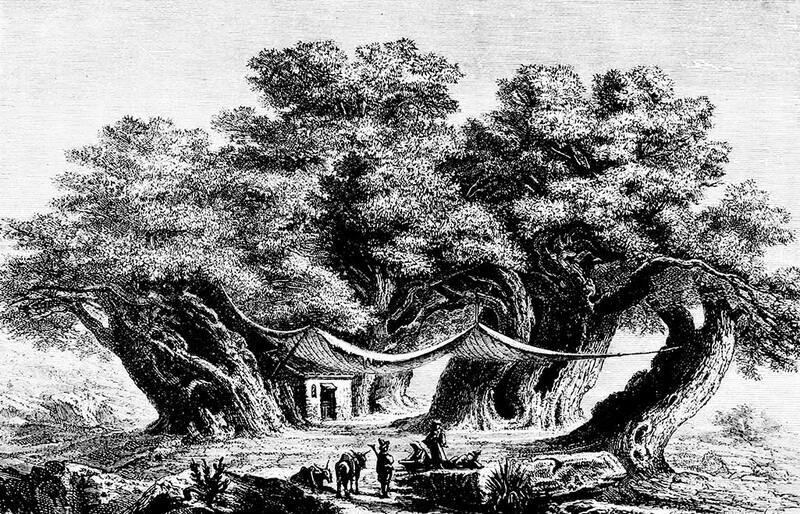 The first horticultural enclosure was made more than 10,000 years ago. Purely ‘ornamental’ gardening probably began no more than 300 years ago and only became dominant about 100 years ago. This entry was posted in English Gardens, Great Gardens to Visit on 1st November 2017 by Tom Turner. The Baroque style avenues of sweet chestnuts (Castanea sativa) in Greenwich Park are believed to have been planted 1660-1. So they may have been 356 years old when these video clips were taken on 28th October 2017. Greenwich was imparked in the fifteenth century is the oldest of London’s Royal Parks. Maybe ten years ago they were looking unloved. Today they are very well cared for. Instead of mowing the grass under the trees, the turf is being removed and bark chippings are being spread, as shown below. 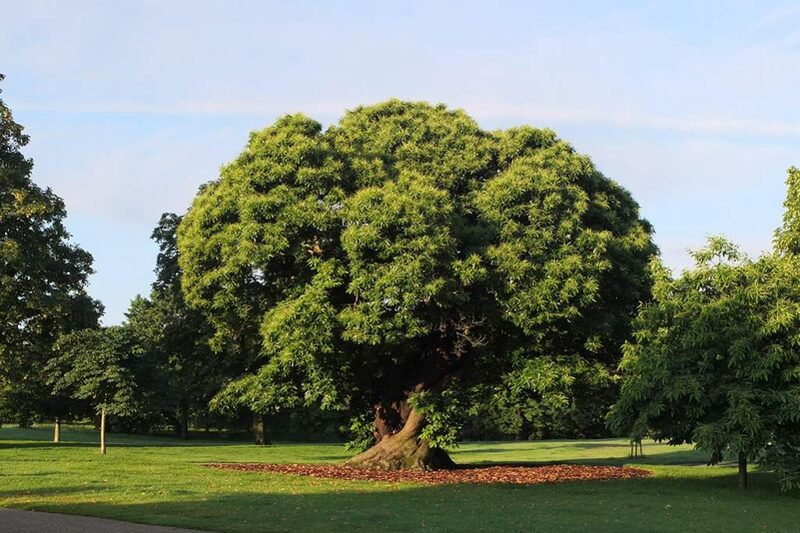 With good care the Greenwich chestnuts might live as long as the oldest chestnut tree in Britain (571 years and at Stourhead) but the aim should for them to live as long as the Hundred-Horse Chestnut (Castagno dei Cento Cavalli) in Sicily: estimated to be 3000 years old. The Hundred Horse Chestnut as it was a 145 years ago (in 1872). This entry was posted in English Gardens, Great Gardens to Visit on 28th October 2017 by Tom Turner. Oh to be at Iford Manor! Remembering visits to the Peto garden always gives me a good feeling. I love its peacefulness, its seclusion and its period redolence. This entry was posted in English Gardens, Garden Visiting, Great Gardens to Visit on 27th October 2017 by Tom Turner. The Preface to the 1986 printed edition of this book made ‘ a personal plea for some restoration projects which would be of special historical value as examples of poorly represented styles’. 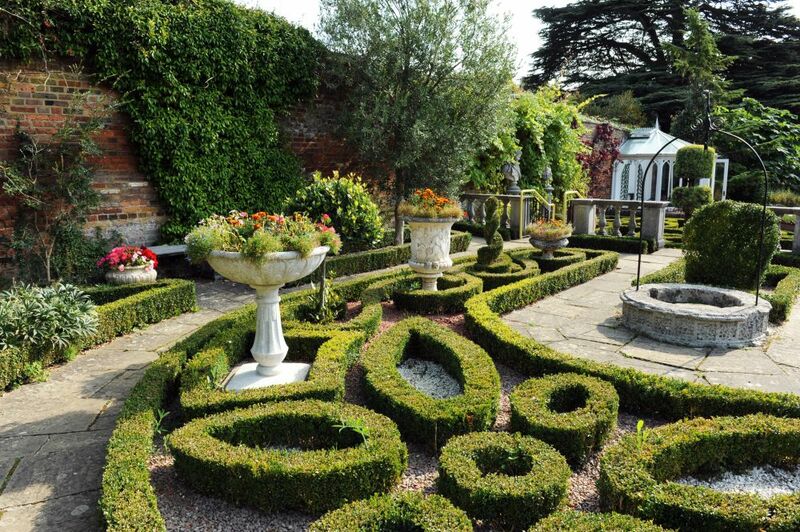 The plea had no influence upon events but the following update may be of interest to readers: (1) The semi-circular parterre at Hampton Court, known as the Fountain Garden, has not changed. But the nearby Privy Garden has been restored with the greatest possible care for historical accuracy. I believe this was an error of judgement: the Privy Garden is an unremarkable as a Baroque parterre but looked good in its picturesque 1986 condition. The Fountain Garden remains rather ugly but would have been very splendid – if restored in the manner of the Privy Garden. (2) The Giant Steps in Greenwich Park have not been restored. The Royal Parks Agency commissioned a design for a Baroque water cascade on the site. It was opposed by the local people. I can see a strong case for restoring the original steps which would have been like Bridgeman’s theatre at Claremont Landscape Garden. Or one could make a respectable case for a new design on the site. But ‘restoring’ a cascade which never existed would have been illogical. (3) The Leasowes is now run as a country park. 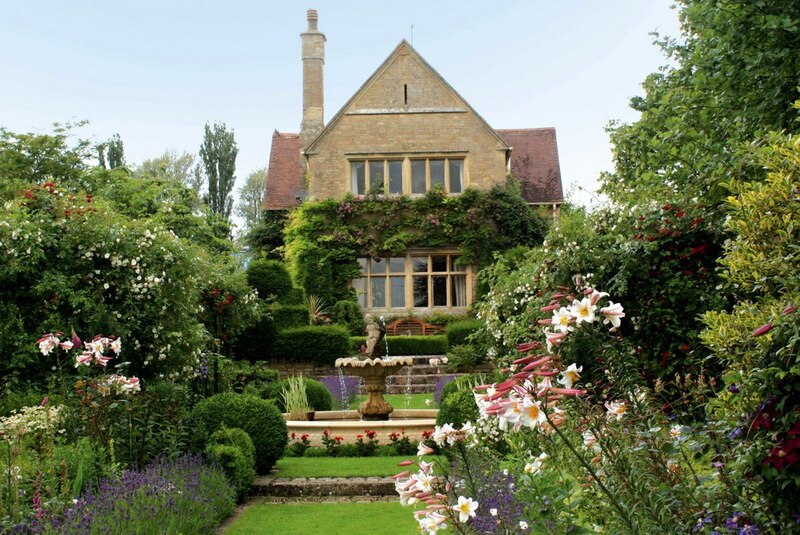 (4) Nothing has been done about the parterre at Melbourne Hall or the ornamental farm at Great Tew (5) Gertrude Jekyll’s garden at Munstead Wood is, I am delighted to report, being restored. The quality of the long border is poor. This may because you can’t just ask an expert to design a herbaceous border. You need to expert to have responsibility for its management and review the design very frequently. It’s best to have the expert working on the border and thinking about it all the time. Is this plant doing too well? Why is that plant suffering? Would it be better if those two plants were not side by side? do those colours go together? The Royal Parks Agency (as it used to be) lacked expertise in the design and the design history of parks, gardens and landscapes. So they probably did a poor job in briefing Chris Beardshaw. The Royal Parks are really bad at involving volunteers in the management of parks and gardens. This is a tragic wasted opportunity for bringing in resources of mind and brain and involving the community. This entry was posted in English Gardens, Garden Design, garden history, Great Gardens to Visit on 18th October 2017 by Tom Turner. 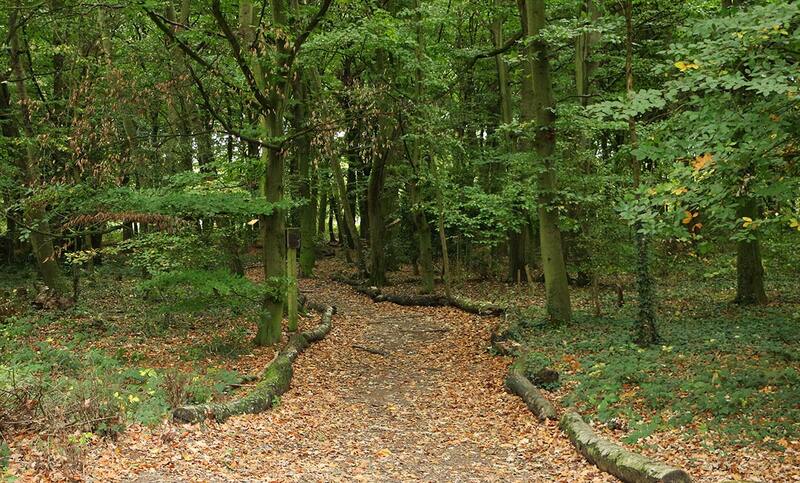 Wanstead Park used to be one of the greatest late-Baroque gardens in England. It survives with half the land used as a golf course and the other hand cared for by the City Corporation, which merits its great reputation as a benevolent land owner and manager. Wanstead was purchased as part of Epping Forest in the 1880s. It is now managed as what might be called a forest park. Could it restored? Should it be restored? 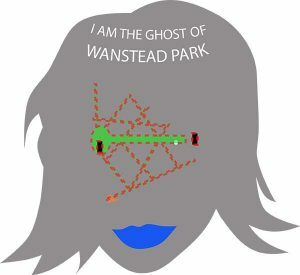 The Friends of Wanstead Park have a good answer: ‘In recent years the Friends of Wanstead Parklands and the City of London Corporation have formed a partnership to reveal the ancient landscape and make the park more accessible to the local communities and those from further afield’. But what would this involve? With no great house, a different use, no significant resources and only half the site, it can’t go back to the early 18th century? My suggestion is to celebrate The Ghost of Wanstead Park. This is how she might look. Her face is gone forever. Her shadow sleeps on the forest floor. 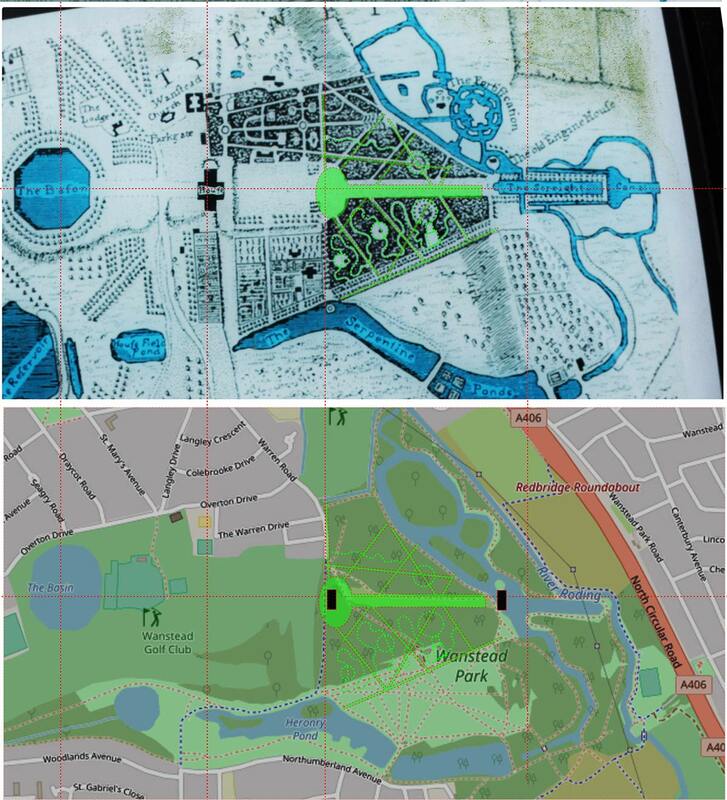 The two plans, below, show the Wanstead Park in its prime and Wanstead Park with a Ghost sleeping on the forest floor for the curious to meet. This entry was posted in English Gardens, garden history on 14th October 2017 by Tom Turner. Stourhead Landscape Garden has a good claim to being ‘England’s greatest landscape garden’. Though changed, as all gardens must change, it retains much of its eighteenth century character. 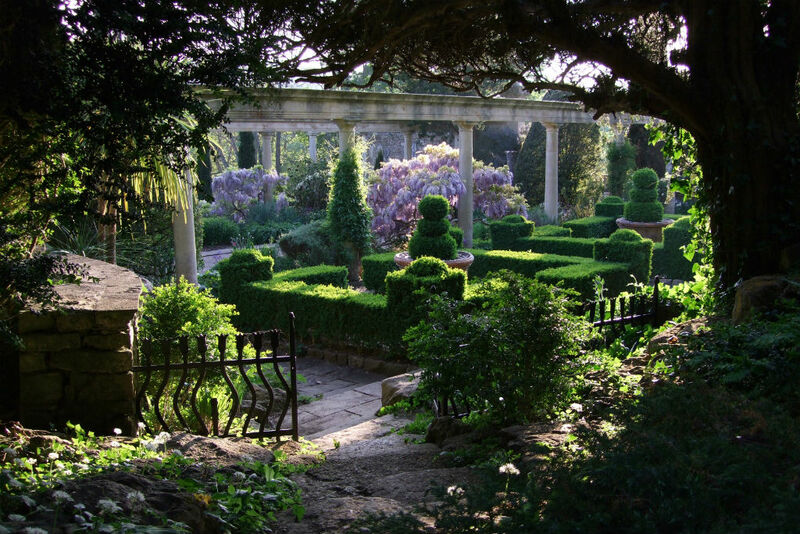 Tour operators are right to make it a priority in English garden tours. Henry Hoare’s aim was to recreate the landscape of antiquity. Not having too clear an idea of what it looked like, he turned to the great landscape painters of Italy, including Claude Lorrain and Nicholas Poussin. 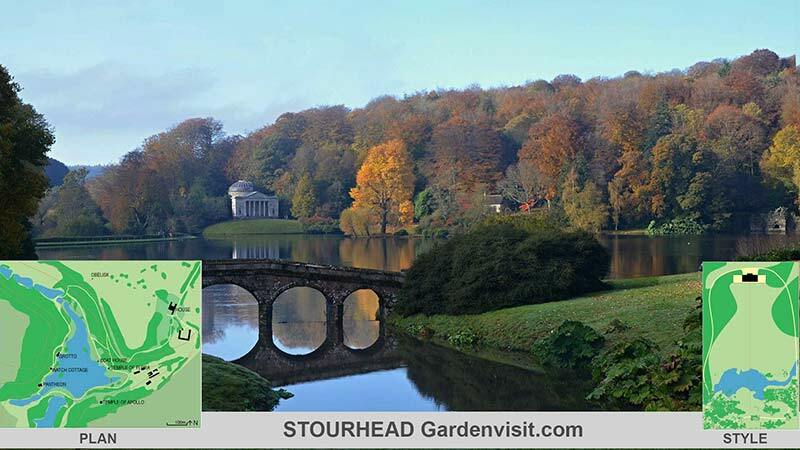 In the Great Gardens postcard, below and at the start of the video, the plan of Stourhead is on the left and the garden design style diagram it represents is on the right. The Gardenvisit.com style chart shows this style in its historic position. Stourhead owes much to Augustan ideas. This entry was posted in English Gardens, Garden travel and tours, Great Gardens to Visit on 11th October 2017 by Tom Turner.